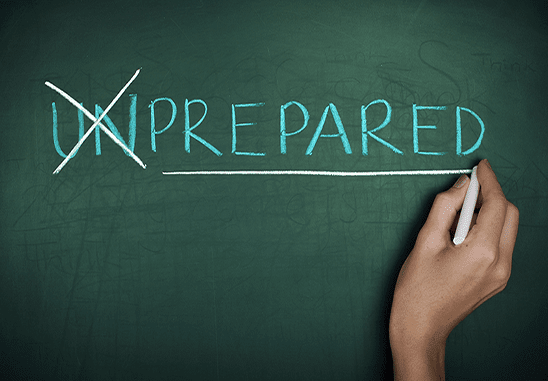 Does your small business have a disaster preparedness plan? All businesses should have a strategy to deal with an unexpected crisis, so they minimize dangers and financial losses. Recovering from a disaster will be a challenge for any business, but without any preparation, it might even be impossible. You can’t just count on insurance awards and aid from government agencies to get your business up and running again. Many owners have found out too late that their insurance doesn’t end up covering them in a disaster situation. According to the Federal Emergency Management Agency (FEMA), 40% of businesses never even reopen after a disaster. No business owner wants to be a part of such a statistic. That is why businesses need to create a procedure. We will review some the basic steps that business owners should start with when preparing a disaster preparedness plan. There is also a lot of free information available online that businesses should take into consideration. We will share links to some of these resources with you as well. Evaluate your exposure – Start with preparing for the types of disasters most likely to impact businesses in your region. In Colorado, this might be tornadoes, winter storms, and flooding. You should also plan for other possible disasters as well, especially if your business location close to a river, nuclear power plant, or potential terror target. Calculate the cost of interruptions to your business for a day, week, month or longer. If possible, set aside cash reserves to allow your business to continue functioning while you recover from an emergency. Review your insurance coverage – Don’t make the mistake of assuming that your insurance will cover you in the case of a natural disaster. Consult with your insurance agent and review your business coverage against the potential emergencies as well as additional insurance needs. Create a business continuity plan – A business continuity plan helps your business continue operating as it recovers from an emergency situation. It indicates when a continuity plan is activated, identifies essential business functions, necessary staff to carry out vital information, and identifies documents that must be kept safe and accessible to perform critical tasks. Have a clear chain of command – Make sure you have an emergency chain of command determined and that your employees are aware of it. You should also establish a clear leave policy for during disasters as some of your employees may need to recover from a disaster as well. Protect valuable information – You need to have important information stored off-site in another location or the cloud in case your place of business is destroyed or temporarily inaccessible. It should include any necessary business information on vendors, customers, employees, logistics, and finances that are critical for the operation of your business. Create a communications plan – Have an idea on how to communicate with your employees as well as vendors, contractors, and even your customers in the event of an emergency. Consider an emergency alert system, such as automated text messaging to employees. Have a cell phone and email numbers for anyone you may need to get in touch with to reopen your business doors. These are some of the essentials of your business preparedness plan. There are still many others to consider, such as emergency plans for your payroll and vendors. The more items you can prepare for the better the chances your business can survive an emergency.